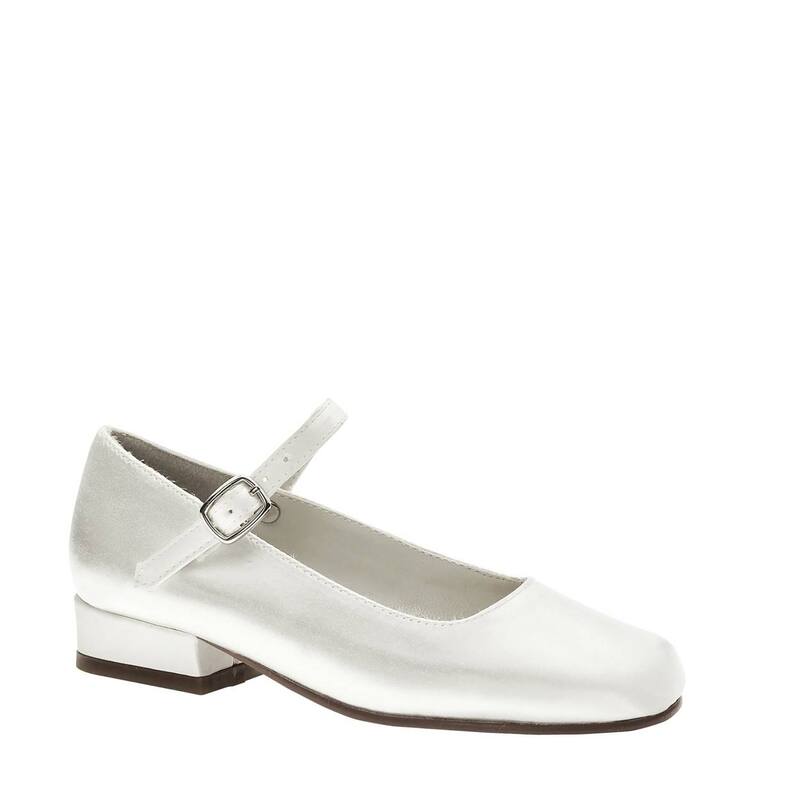 Communion Shoes- Jill is a low 1/2" heel, dyeable Mary Jane style is a formal children's shoe with single buckle strap and round toe. The Jill is a white satin shoe with a satin wrap ankle strap that is adjustable. True to size.